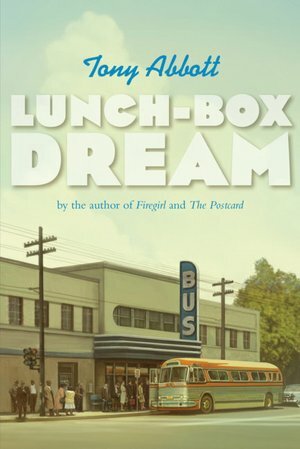 Set in the summer of 1959, Bobby, a young white boy, is traveling across the country with his family are traveling across the country visiting Civil War battle sites. When a car accident forces the family to return home, they find themselves witnessing an incident where a black family is denied seats. A family that was desperate to get a few towns away where their child had gone missing. Jacob, a young African American boy from Atlanta, is visiting family in a nearby town and is having trouble understanding the racial nuances of the town. When Jacob disappears, his relatives become desperate to find him and inspire Bobby to help right the racial injustices in his town. Will Bobby be able to make a difference? Will Jacob’s relatives ever find Jacob? The characters’ personalities aren’t consistent and the plot is really slow. The alternating viewpoints are more distracting than helpful. Although emotionally moving, the topic and its unsettling tone might prove daunting to some readers. Readers, however, who are interested in the Civil Right Movement might enjoy reading this book. EL (4-6), MS. OPTIONAL. Reviewer: Kira M, Youth Services Librarian, WHI Public Library.